Opened in 1991, this Arthur Hills course was instantly named a classic by Golf Digest Magazine who rated it among "America's Top 10 New Courses". 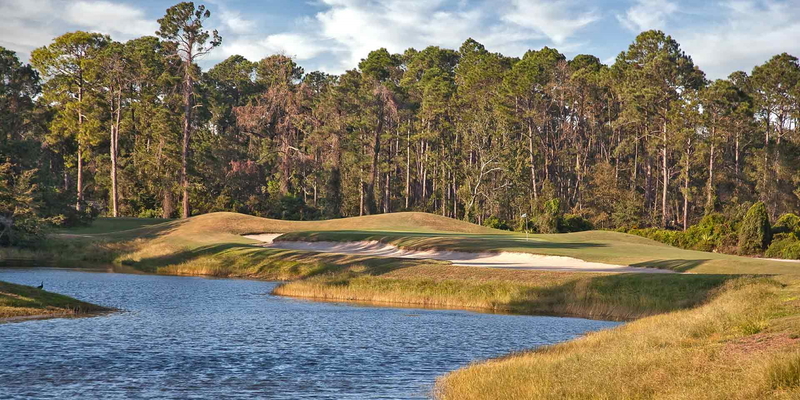 Heavily wooded with towering pines and moss-draped oaks, the lush fairways roll past crystalline lakes. Protected greens, edged with bunkers provide golfers with challenges. The signature par-4 18th offers a daunting finish to a spectacular game and is widely considered one of the most picturesque holes in the low country. Unique. Innovative. Eminently playable. The Robert Cupp course is a stunningly original design that tests the better player, but accommodates higher handicappers as well. 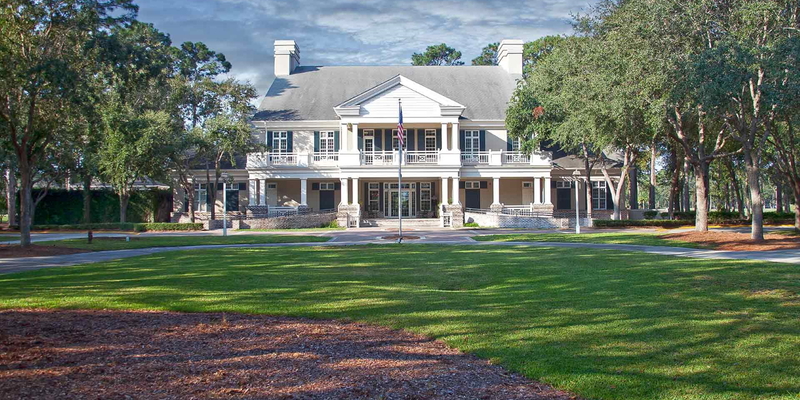 Cupp, Golf World's former "Architect of the Year", opened his signature course at Palmetto Hall in 1993, and the course continues to draw high praise for its flexibility, sound shot values and impeccable year-round conditioning. Changes throughout the year. 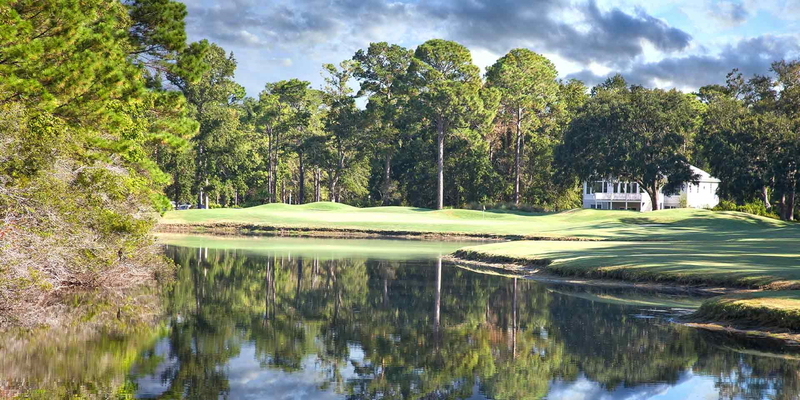 Please call 1-800-2-FIND-18 for more information on rates or log on to www.hiltonheadgolf.net for current rates. Head North on Blue Jay Way. Turn Left to stay on Blue Jay Way. Turn Left onto Finch Street. Turn Left onto Beach City Road. Turn Right onto Fort Howell Drive. The Clubhouse will be on your Right. Head West on Airways Avenue towards Patrick S. Graham Drive. Merge onto I-95 North. Merge onto US- 278 E via Exit 8 towards Sun City/ Bluffton/Beaufort/Hilton Head Island. Merge onto William Hilton Parkway/US-278 BR E/ Fording Island Road toward WM Hilton Parkway/US-278 BR East. Turn Left onto Beach City Road. Turn Slight Right onto Mathews Drive. Turn Left onto Enterprise Lane. Turn Left onto Beach City Road. Turn Right onto Fort Howell Drive. The Clubhouse will be on your Right. May reserve with a credit card number on file. Cancellation Policy: Notice of Cancellation or reduction of players must be received at least 24-hours prior to your scheduled starting time or the above party will be charged for all unused times. Stay and Play Golf Packages available. Access to 1,000 homes, villas, and hotel rooms. Please contact Vanessa at 843-681-1706 or email vcastaneda@heritagegolfgroup.com and reference SCGOLF.com . Clubhouse is available for lunch. 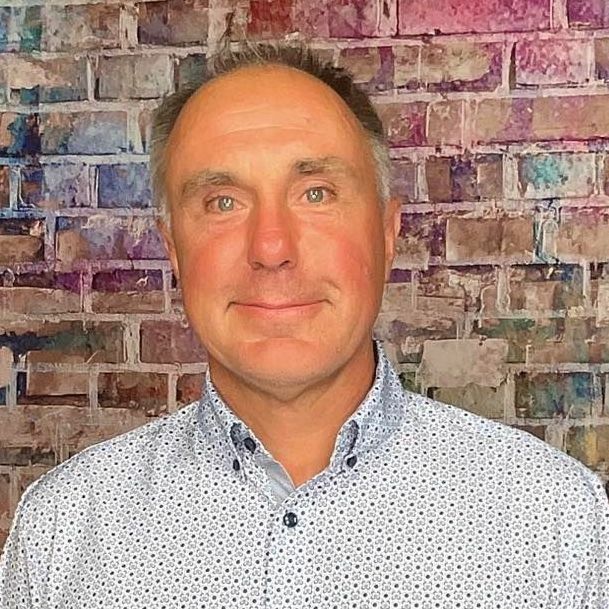 This profile was last updated on 03/12/2019 and has been viewed 10,780 times.